Take command of mighty Vikings, sly Persians or brutish Demons! Smash your opponent’s base to rubble while defending your own in this action-packed side-scrolling strategy game! Battle with Vikings, Persians and Demons in online and split-screen multiplayer, duel the AI in skirmishes, go for a high score in mini-games (while queuing for multiplayer), or enjoy the 10 hour single-player campaign. In this base-stomping battle extravaganza, you fight to win a fast-paced tug of war — whether online, locally in split-screen or against the devious AI. Let your minions mine valuable gold so you can unlock the soldiers, buildings and spells you need. Then, unleash your hordes and magic spells to make sure nothing’s left of your opponent’s base! But beware...keep your base defended or you will end up empty-handed! Side-scroll over your enemies: Defend your base, claim resources to fuel your armies and let them run over your enemy. Multiplay it your way: Play online, via local network or split-screen in smashing 1 v 1 battles and lay waste to your opponents’ bases! Vikings, Persians and Demons! Play any of these awesome factions, each with its own distinctive gameplay, look and feel. Customize your art of war: Use the Custom Army feature to conscript your favorite units, spells and structures, then pit them against your friends! Find your Shawarma! 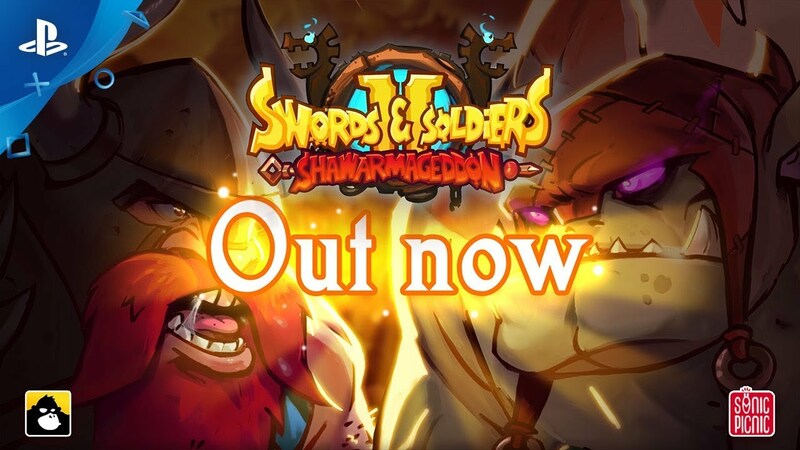 : As the warlord Redbeard, you and your vikings must fight your way through an extensive single-player campaign across tundras, forests, deserts and the depths of the netherworld itself to find out who stole your dinner! Play the waiting games: While waiting for your rival to show up online, you can go for a high score in all kinds of minigames or battle it out against the AI in skirmish mode.